Here, I will discuss two different Chianti Classico wineries from two different sub-zones in that area. The Chianti theme has been extended also to November in the Italian Food, Wine, and Travel group. 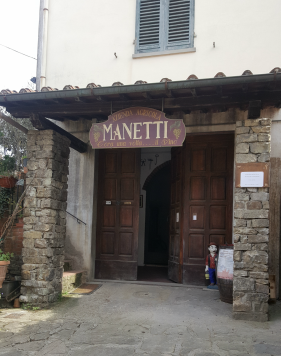 Thus, I have chosen to talk about the two wineries Leonardo Manetti in Greve in Chianti and Fattoria di Montemaggio close to Radda in Chianti. Two areas very close on the map yet very different in terms of the wines they produce. 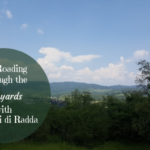 Last month, I wrote about the Vignaioli di Radda and the concept of zoning and sub-associations within the Chianti Classico consortium. 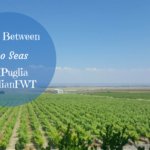 Today, we can see more up close the difference in territory and wine between two wineries. 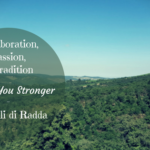 To read more about the legend of the Black Rooster and Chianti Classico, see Words at the Wine Bar – A Mini-Course and Collaboration, Passion, and Tradition Makes You Stronger – Vignaioli di Radda. 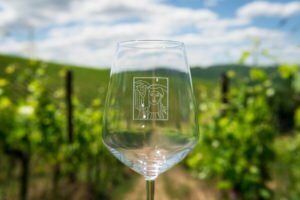 This month, November 2017, the wine and food writers in the Italian Food, Wine, and Travel (#ItalianFWT) group will focus on the theme the Magic of Chianti: #ItalianFWT Uncovers its Secrets. Both Chianti and Chianti Classico wines are included. As mentioned above I will focus on two wineries: Leonardo Manetti and Fattoria di Montemaggio. On Saturday, November 5, you can join us on Twitter at 11amEDT / 16.00 CEST to learn more about Chianti and Chianti Classico wines. Just type in the hashtag #ItalianFWT in the search field and click Enter, thereafter, you click Latest which will show you all the live tweets. I know Leonardo Manetti since several years now, in fact, he was my first guest at my very first #WinesOfItaly #LiveStream back in November 2015. 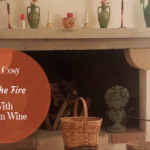 I was very nervous about my first wine live stream and about finding a guest wanting to take the chance on this live ‘thingy’ which was quite new in 2015. He did great and since then, as some of you know, my live stream has continued to develop. In 2015, his parents family winery, Sagrona winery, was still in business so he was talking about those wines. Since then, his parents decided to close down the Sagrona winery, that they had founded back in the 1960s. This winery was situated in the center of Greve in Chianti, just a few steps from Piazza Matteotti, the main square. The old Sagrona winery is now the base for Leonardo’s new winemaking activity. 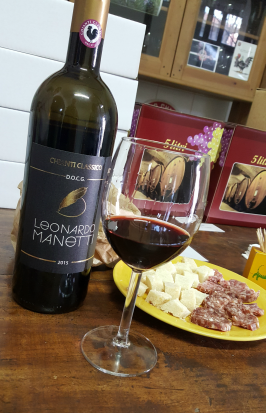 He decided to branch out on his own and starting to slowly produce a Chianti Classico wine under his own name: Leonardo Manetti. Leonardo Manetti is not only an oenologist, he graduated from Florence University in 2007, but also a published poet. Yes, it is quite cool, right? A poet winemaker. He has published a couple of volumes of poetry and he has a blog called Chianti Poesia. The website for his winery business is still under construction but you can read more about Leonardo at his website Leonardo Manetti, a contemporary Tuscan poet. Greve in Chianti is just as Radda in Chianti, together with Gaiole in Chianti and Castellina in Chianti, one of the central locations in the Chianti Classico area since the days of the Lega del Chianti. During the Middle Ages, Greve served as a marketplace and the hamlet as such was under the dependence of the Montefioralle Castle. Greve is, in fact, situated just in the middle between Florence and Siena and today the so-called home of the Black Rooster. The soil at the vineyards of Leonardo Manetti is of limestone, clay, and sandstone. So if you remember, this is similar but still a bit different from Radda. So far, Leonardo produces one Chianti Classico wine and the 2015 vintage was his first production year on his own. I tasted this wine earlier this spring when I visited him together with my partner in wine, Nadia Padrin. It is a wine with a nose of beautiful red fruit and a touch of the typical violet. It is still a young wine so you feel the acidity which is so typical for the Sangiovese, though the tannins are smooth. All in all an elegant wine with a great potential. Fattoria di Montemaggio is a winery in Radda in Chianti close to Panzano, Greve, also in Chianti, and Lamole, to just name a few of the well-known places in Tuscany. 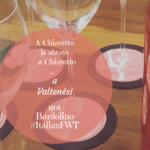 The winery produces wine within the Chianti Classico denomination and belongs to the Consortium of Chianti Classico. The owners of Fattoria di Montemaggio are Valeria Zavadnikova and her family. Ilaria Anichini is the manager of the winery, she was born and bred in Florence where she studied agronomy at the university. A special and fitting particularity of the winery is its logo picturing an Etruscan woman with a basket full of grapes. The Russian artist Andrey Remnev created the original painting, and his wife, who is a designer, then created a logo and wine label with the painting as a model. The estate is located where there used to be a tower above the old Roman road connecting Florence to Siena back in the 14th century. Montemaggio was also already marked out on the map of Capitani di parte Guelfa as early as in 1560. The name Monte Maggio means ’big mountain’ and has probably to do with the high altitude, 600 m.a.s.l., on which it is situated. The estate has 190 acres of land where the part being cultivated as vineyards are about 22 acres. They cultivate mainly Chardonnay, Sangiovese, Merlot, Malvasia Nera, and Pugnitello. The soil here is of galestro, sandstone, and alberese. So, as you can see that there is a clear difference as the soil is more of rock, which together with the altitude, make the wines fresh, mineral and elegant. Fattoria di Montemaggio produces a selection of different wines but as the theme of this article is Chianti Classico, I will only mention those. They produce a Chianti Classico Annata, Chianti Classico Riserva, and a Gran Selezione. There is a small percentage, max. 5%, of Merlot, added to the Sangiovese in all their Chianti Classico wines. This is a way of smoothening out the acidity of the Sangiovese a bit. A particularity of the Merlot at Fattoria di Montemaggio is that the Merlot has almost taken on the traits of Sangiovese having amalgamated the characteristics of the soil in Radda so typical for the Radda Sangiovese. 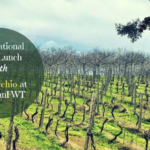 This article has been a story about two different Chianto Classico wineries situated very close, in Greve and in Radda, but still producing wine that are different in character. Their soil is different, Fattoria di Montemaggio having more rocky soil of galestro and alberese and Leonardo Manetti having more clay and limestone. The wines are different in their bouquet and body though both are fresh and smooth wines. 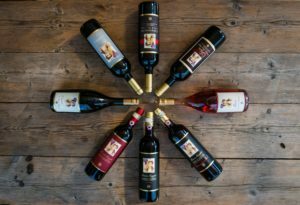 Fattoria di Montemaggio, of course, produces more wines as they are a well-established winery while Leonardo Manetti is starting out on his own and finding his own path. Thus, it is not really a comparison of two wineries but rather an example of wineries from two sub-zones in Chianti Classico that are very close to each other. They are both very interesting in their on way. Gwendolyn from Wine Predator will tempt us with Four Chiantis and a Vermentino Paired with Puttanesca (#ItalianFWT). 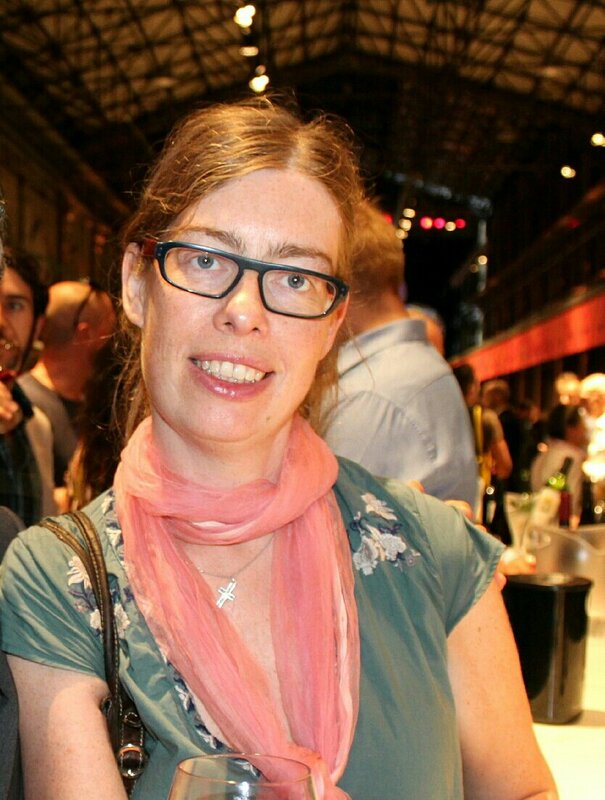 Jennifer from Vino Travels will be Venturing through Chianti with the Sangervasio Winery. Here at The Swirling Dervish we’ll compare Two Weeknight Wines: Chianti Classico and Chianti Colli Fiorentini Riserva.